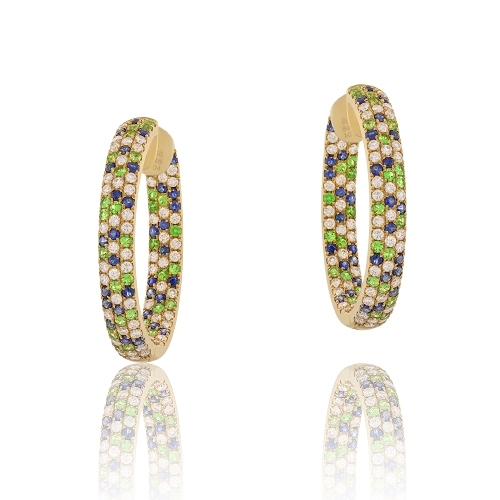 18k yellow gold hoops set with scattered blue and green sapphires and diamonds. Diamonds approx. 1.46ct. Hoops 1.25"